Magical Holly: one to thaw icicles, warm hot chocolate and melt your heart totally. What winter is for. Just in time for Christmas, here’s a gorgeous snowy story of a very special friendship. Warm as a roaring log fire. Cosier than a woolly knit. One Christmas, Lotta goes to visit her great-granny in Norway. Amid its frozen fjords and icy peaks, she falls into a magical adventure. Riding on a sledge, Lotta herds reindeer across the snowy mountains. 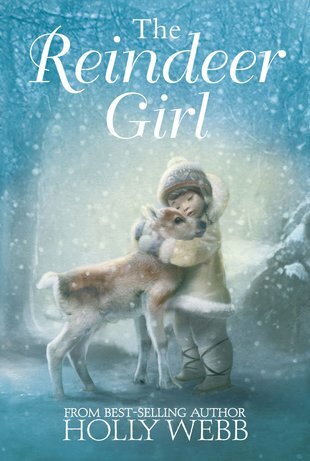 But when a mother reindeer is lost, can Lotta save her calf?